An elite state government contract to protect Sydney police stations has been awarded to a security firm that previously offered cash kickbacks and trips to Las Vegas in return for public tenders worth millions of dollars. The winning company, Kings Security Group, was the focus of a five-week Independent Commission against Corruption hearing in 2012. Its two former co-owners, Peter Roche and Charles Diekman, had engaged in ''corrupt conduct'' that secured deals across several public authorities, including the Art Gallery of NSW, the University of Western Sydney and a NSW government area health service. Kings avoided closure in September on the strict condition, enforced by the state's security licensing police, that its disgraced directors resign and hold no future ''close associate'' roles. But a Fairfax Media investigation has found that, six months later, Mr Roche might still have links to the company - which just scooped the new government tender with NSW Police. That deal, worth up to $80,000, involved the installation of security cameras at Bass Hill and Revesby police stations - amid concern about possible attacks by a high-profile outlaw motorcycle gang. It can also be revealed that Kings was invited to apply for the closed tender by external police property management firm Brookfield Johnson Controls, which participated in the final decision. That process directly contradicts a series of recommendations that resulted from the ICAC hearing into Kings. One of the recommendations specifically called on NSW government agencies to ensure ''selection of security integrators is maintained in-house''. Shadow attorney-general Paul Lynch labelled the NSW government's probity processes a ''farce'' on Saturday. "Even the perception that a government process could be open to bribes is enormously damaging to faith in public administration,'' he said. While Mr Roche officially stepped down from his director's role at Kings Security Group on September 27 last year, an Australian Securities and Investments Commission paper trail shows he still remains a director and shareholder of Kings Security Investment Nominees - which holds the same office address in Sydney's CBD and same business headquarters in Zetland - where he could be found last week. Mr Roche said he did not hold a role at the company and was in the building ''on a daily basis'' as he owned the property and worked from it. ''This organisation took the appropriate action last September as per our legal counsel to ensure we abide by the NSW Security Act,'' he said. Mr Roche and Mr Diekman were central figures in the ICAC investigation, Operation Tilga. The commission found that with the ''agreement'' of Mr Roche, Mr Diekman handed $13,000 to influential security consultant and good friend, Daniel Paul, so that Kings could snare a project at the University of Western Sydney - where Mr Paul served on the tender committee. A further $20,000 was handed to Mr Paul so Kings could land a security upgrade contract at the Art Gallery of NSW. 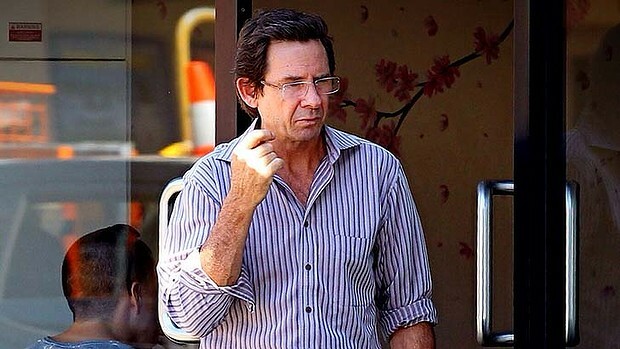 The inquiry also found that between 2006 and 2011, annual cash payments, a Vespa scooter, and accommodation in Las Vegas were lavished on former Northern Sydney Central Coast Area Health Service official Robert Huskic as a reward for him having ''exercised his public official duties'' to favour Kings in government contracts worth millions of dollars. During the ICAC hearing, Mr Roche said he ''didn't want to know'' what co-owner Mr Diekman was doing when he had requested up to $10,000 in cash on many occasions. The commission handed down its report in September last year and while no findings were made against Kings as a company, Mr Roche and Mr Diekman were found guilty of corrupt conduct. Mr Diekman and Mr Paul were referred to the Director of Public Prosecutions for advice on possible criminal charges. In the wash-up, Kings held on to its master licence, appointed new directors and resumed operations after the NSW Police Security Licensing & Enforcement Directorate (SLED) stripped Mr Roche and Mr Diekman of their master licences and banned them from holding future ''close associate'' roles. A NSW police spokesman confirmed that the procurement process for the CCTV systems was handled by Brookfield Johnson Controls. Several tenders were sought from an ''established panel'' of licensed security integrators and assessed, by the contractor and another company, he said. ''This process was over and above that required by state procurement guidelines for the total cost of the works,'' the spokesman said. On Friday, SLED director Cameron Smith said enforcement officers would be ''revisiting'' the Kings Security licence in light of the possibility Mr Roche may have ''returned to work''. Kings joint general managers James Martin and Andrew Parramore, who succeeded Mr Roche and Mr Diekman last year, did not return calls.